I'm on night duty now. I had a simple meal about seven o'clock, but the work has been hectic and it made me hungry and dehydrated. I need something right now. I usually keep something to eat in my room, like breads, instant noodles, or frozen food that would be ready after a few minutes in the toaster oven. However I ran short today. I'm deadly hungry. My blood glucose level must be below normal. What should I do? Reflecting of the anguish of the starvation that lots of people are suffering from, should I put up with it? I know that a meal in the middle of the night isn't good for my health. I had an internal struggle for a while, and finally I lost. 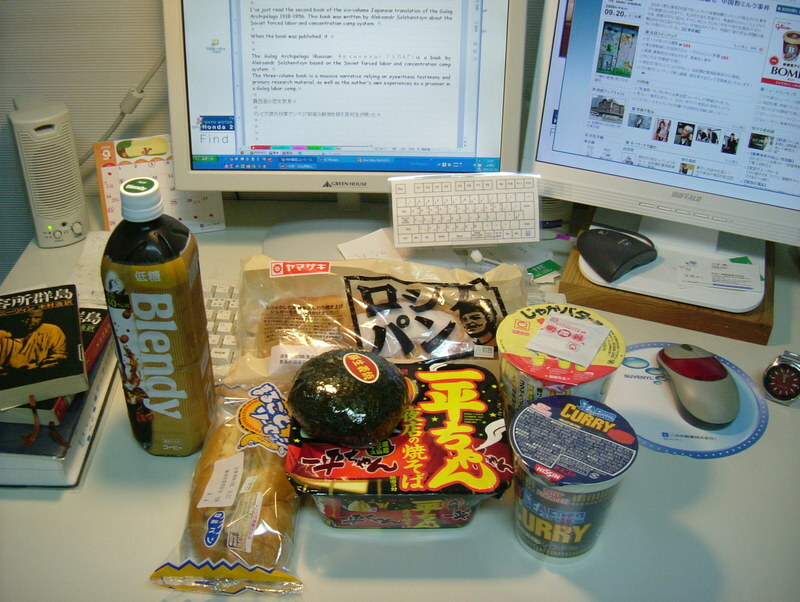 I rushed out to the nearest convenience store and bought foods that are shown in the picture below. A bottle of coffee, instant noodles, breads, and a big rice ball are on my desk. I can survive this night with them. I got a half day-off today and went out for a ride on my scooter early this afternoon. Because I didn't have any particular purpose, I decided to choose directions when I stopped at the light by chance. Like, one time, I would go straight, and another time, I would turn right or left. 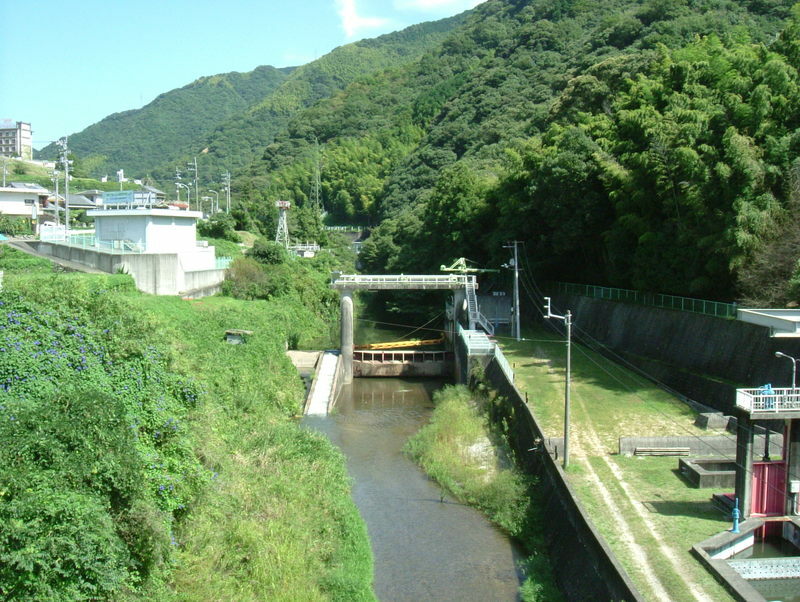 The first picture shows a floodgate which was taken in the Dogo area. 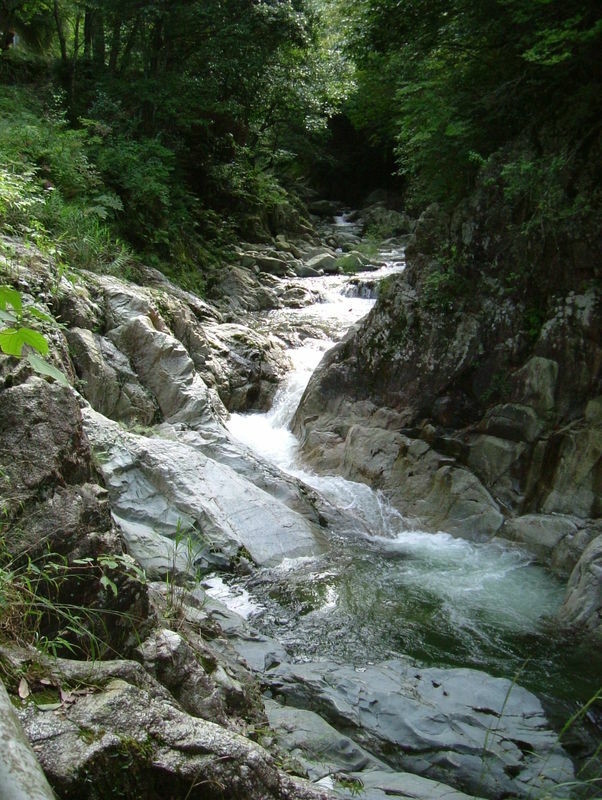 Japan is known as an industrialized nation, but it has such a rural and sleepy scenery too. 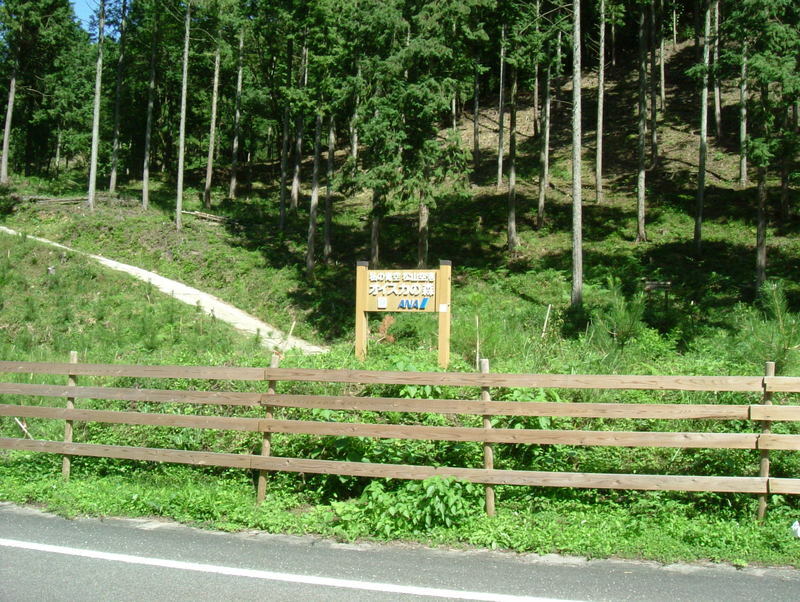 The second picture is of an afforestation area. I admire that people are planting trees for the next or next next generation. People who planted and take care of these trees won't get any money, and nevertheless, they would have to pay the planting costs. It may be the return to the last generation for the services rendered. While I was wandering about, I found myself at the place in the third picture. 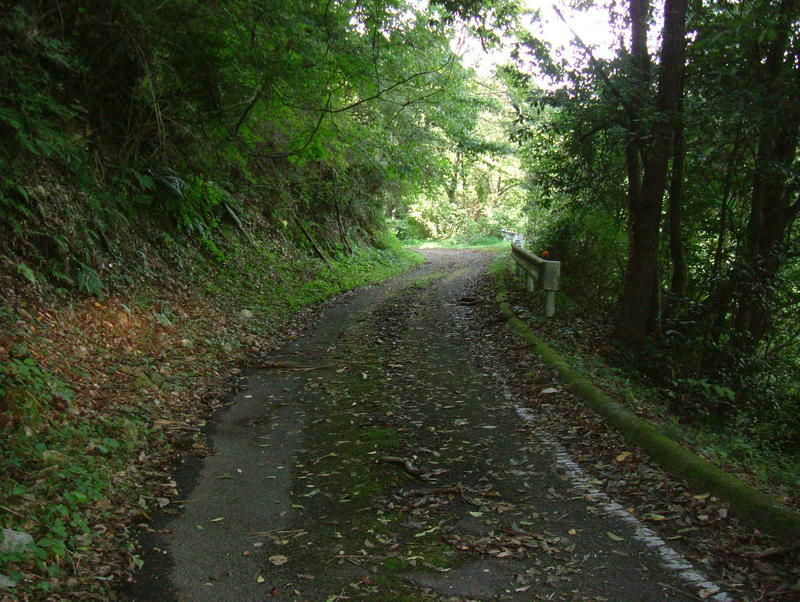 If I was riding my old off-road motorbike, I could explore into the woods, but my scooter is not able to run on this sort of forest road, so I turned back. 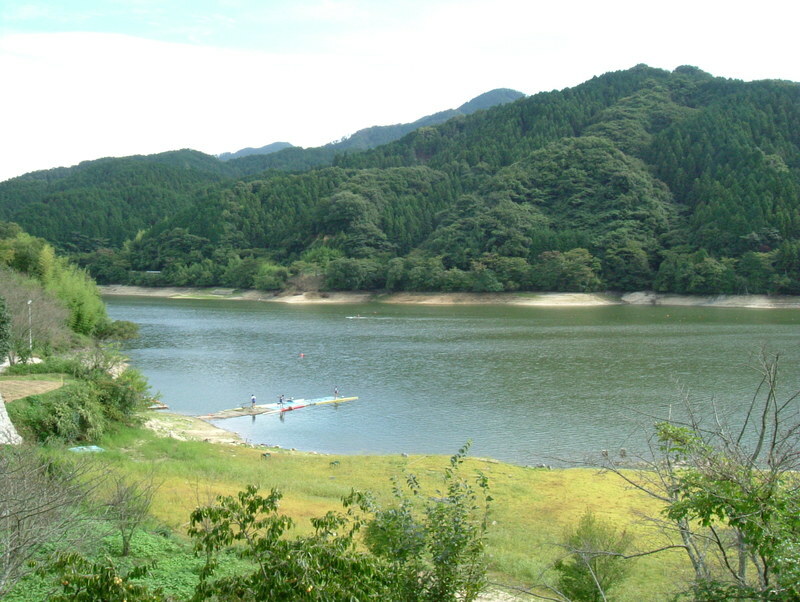 As I rode down the hill along Nibukawa Keikoku (Gorge), I got to Tamagawa Reservoir, on the surface of which a group of students were practicing rowing. I'll show you the picture of Nibukawa Gorge and Tamagawa Reservoir. 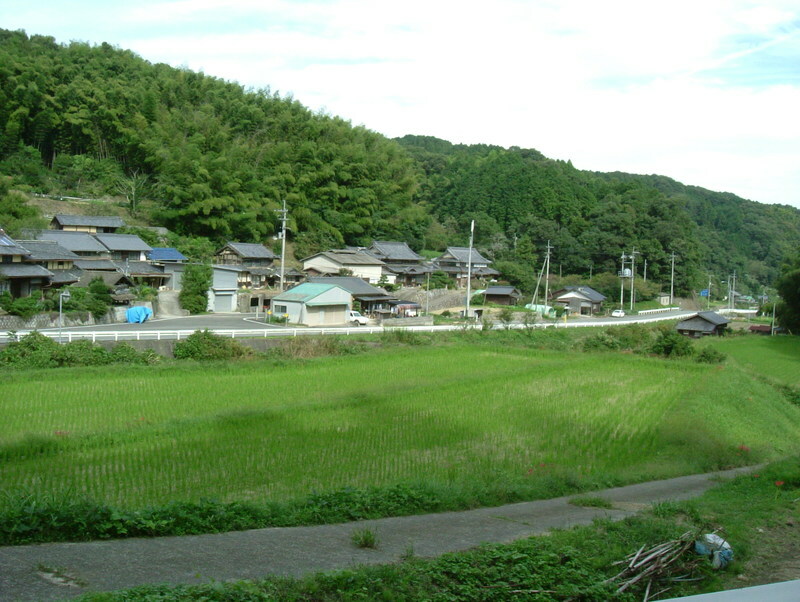 The next picture is a small village and rice field. A couple of weeks later, this field will turn gold from the grains(ears) of rice. 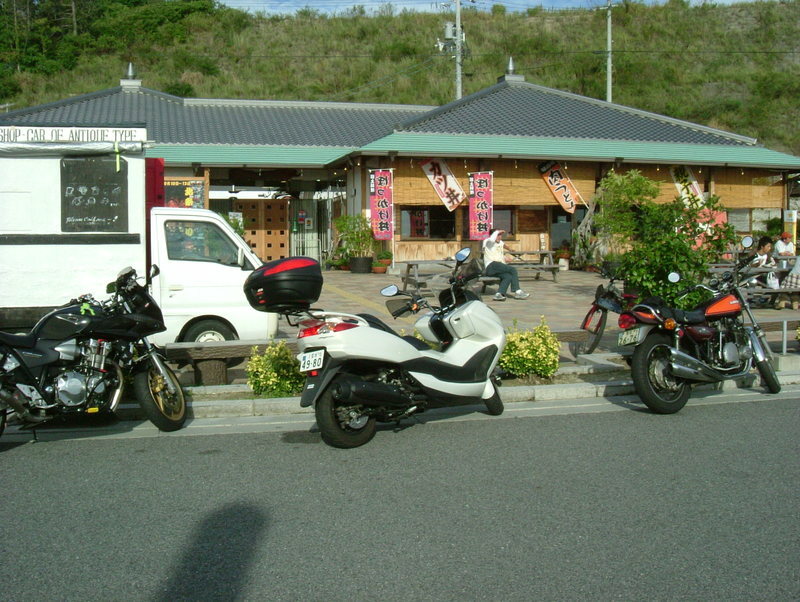 The last picture shows my scooter, which I took during a short coffee break. Recent business news has been littered with stories of companies failing. Economics is out of my major and I know nothing about stocks. I've thought that I have nothing to do with the bankruptcy of Lehman Brothers Holdings Inc. I heard the uneasy news that AIG is going to be confronted with the collapse due to the chain reaction of the bankruptcy of Lehman Brothers. My family carries a few life insurances of AIG. Someone in charge at AIG Japan called me and explained the present situation a couple of minutes ago. AIG in the U.S. and AIG Japan were being managed separately. Apparently, my insurances are fully kept as before. I was relieved. 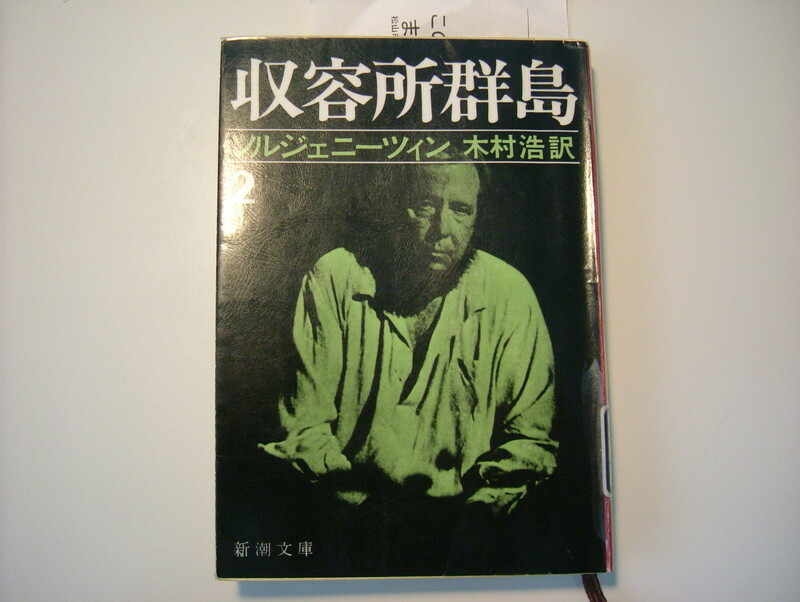 I've just read the second book of the six-volume, Japanese translation of The Gulag Archipelago 1918-1956. These books were written by Aleksandr Solzhenitsyn about the Soviet forced labor and concentration camp system. When the books were published, it caused a worldwide sensation. I was a high school student and was preparing for the entrance exam for the medical school at that time. I wanted to read it, but I didn't have a sense of composure. The news of the death of the author came to me a few months ago, and made me feel like reading it. This six-volume Japanese translation is a massive narrative based on lots of testimonies of witnesses and primary research material, along with the author's own experiences as a prisoner in a Gulag labor camp. Though I've read only two volumes out of six, I wondered how these facts are written in history textbooks for Russian kids. Are they given the correct knowledge about their own history? I watched a TV program this year, in which a Russian high school teacher was exploring in the wilderness for a sign of the concentration camps that had illegally accommodated a lot of Japanese after the Great East Asian War. He took his students to the spot and showed items of the camps. The students looked astonished to know the reality. I imagine that Moscow keeps the real modern history low-key so as not to upset the young people. My second daughter, Yuri, got a driver's license today. She lives in Nagoya City where the traffic system are well organized, so she doesn't have to get the license now. However, I thought she wouldn't have enough time to learn how to drive a car after her graduation from the university and advised her to get the license now while she is in the university. Besides, the driver's license can be used as an ID card, on which the portrait is attached. The possession of the license confirms that she isn't drug-addicted and doesn't have abnormal color sensation. If she didn't have one, someone might suspect that she has some problems in her physical condition. I hosted my birthday party in my house today. I was so glad to have 20 some guests. I will be just 50 years old this month, so this party was a celebration of a half century since my birth. 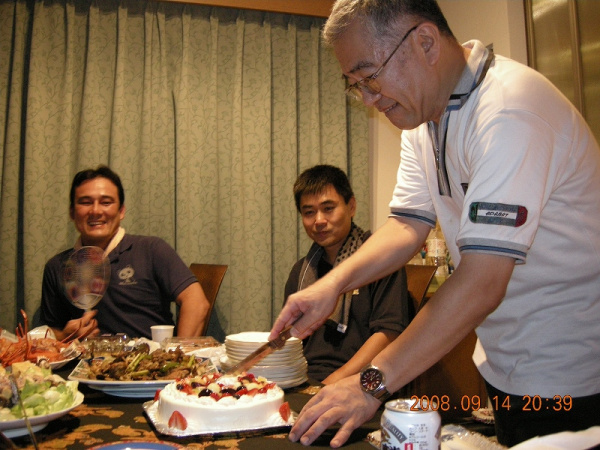 Some of the guests came earlier and helped me prepare the party. A group of the guest got together and went shopping for the food. Another group fired the charcoal and got the brazier ready. My youngest daughter, A, came into my room and declared that she had become above me in English skill. It was kind of flinging down the challenge to me. I said to her, "Very funny! Impossible!" She replied, "Shall we take the TOEIC test together?" "Alright!" I accepted her proposal. By the way, it was when she was 12 years old that she went overseas and spent a week in an English-language environment for the first time. I took her to Whistler B.C., in Canada. She likes animals and was amazed to see how gentle dogs were in Whistler. We met lots of dogs when we took a walk in the village. She was eager to touch them and take pictures of them, but she couldn't speak any word in English, so I taught her the following sentence; "May I take a picture of your dog?" She practiced pronouncing this sentence again and again, and after that she went out. She started trying to speak to native speakers who were walking their dogs while I was watching her at a distance. I couldn't listen to their conversation, but I saw her take a picture of the dog. It looked like she could make herself understood in English. Finally, she collected more than 20 pictures and this incident must have made her motivated to learn English. The U.S. presidential race is getting hot. I don't have the right to vote, but I'm very interested in the election. The battle between Obama and Clinton was fun for me. Lots of political commentators were explaining both candidates' policies on T.V. or columns in the papers. Those explanations were good lessons for me. How is the social welfare system in the U.S.? What's racial discrimination like? How is the life of native Americans? I've never lived in the U.S., but I could feel the American life a little bit. McCain has been said to be outnumbered these days, but he seems to have come from behind since he picked a relatively unknown female governor from Alaska as his partner. When I heard this news, I really thought that the human resources are very rich in the U.S.
McCain often emphasizes the importance of the relationship with Japan and has always been very hard on Russia and North Korea. I actually hope he will clinch the spot in the White House. There are two Obama City in Japan and so, some people hope Obama will win, thinking that something good might happen to the cities. However it's a stupid idea and most Japanese of good sense, I think, are cheering McCain and his partner Palin. Japan is a small island nation. 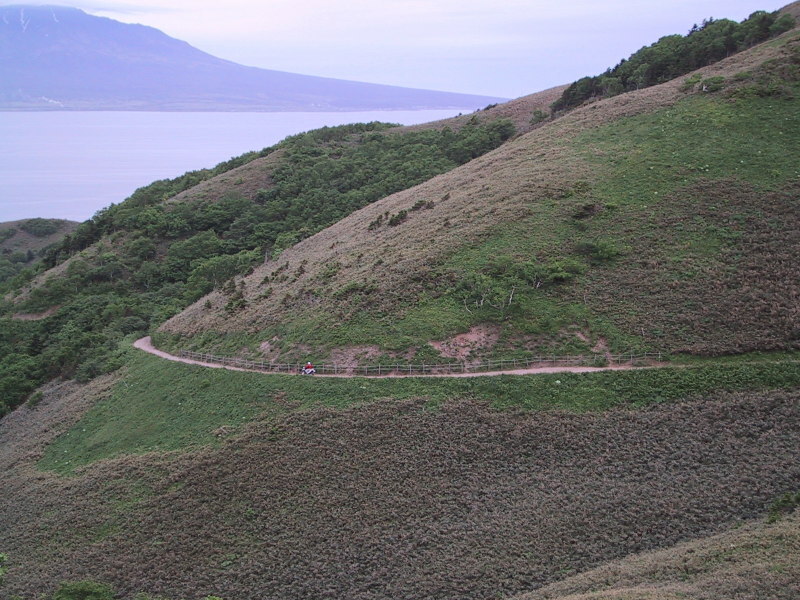 The northern island of it is named Hokkaido. I'm introducing two tiny islands that are located to the west of the north tip of Hokkaido. These islands are well known for their beauty. The names of islands are Rebun and Rishiri, which are easily found on your map, I think. 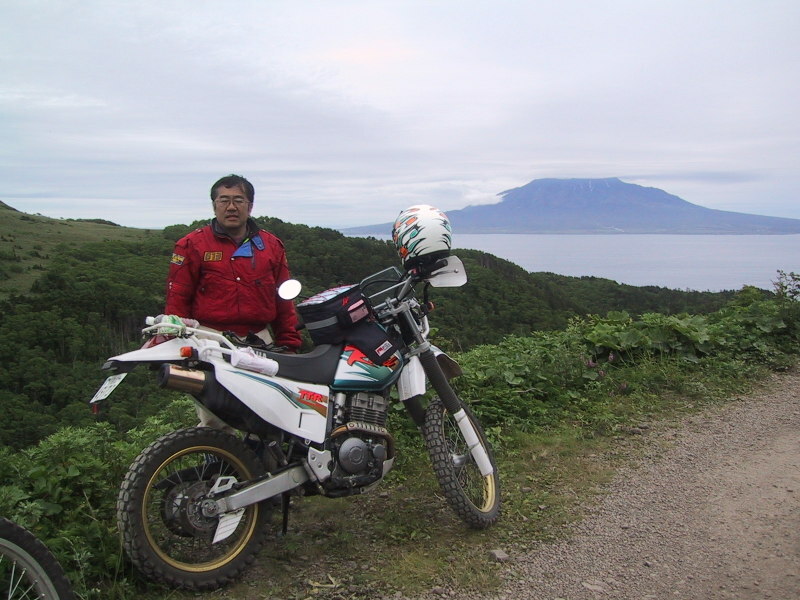 One of the pictures shows me with my off-road motorcycle on the Rebun's forest road against Rishiri island. To my regret, the top of Rishiri island was covered by cloud. Another picture is the distant view of me riding on the same road. 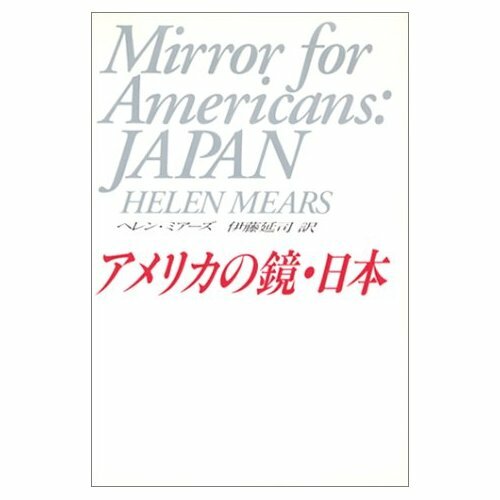 I have just read a Japanese translation of an American book entitled "Mirror for Americans: Japan". 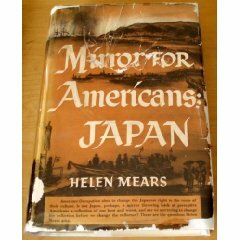 It was originally written in 1948 by Helen Mears, who was an expert on oriental history and cultures in the prewar era, and came to Japan in the aftermath of the Great East Asian War to help the Allied occupation forces formulate new labor laws. The main theme of the book was why Japan got into the reckless war. The book says, Japan could not avoid the war in terms of its relations with the Western powers. The powers used deceptive policies against Japan. With a calm but very objective reasoning, the author reveals that what Japan did was the same as what the powers had already done. She continues, Japan was the best student of modernization and Westernization, following what the powers showed decades before. That is, the student was Japan and the powers were the teacher in this sense. Japan's condemned actions in Asia were just the reflection of the Western powers themselves in a mirror. I guess that the title of the book was thus made. Understandably, General Douglas MacArthur, the omnipotent Supreme Commander in the occupied Japan, prohibited publishing this book in Japan. 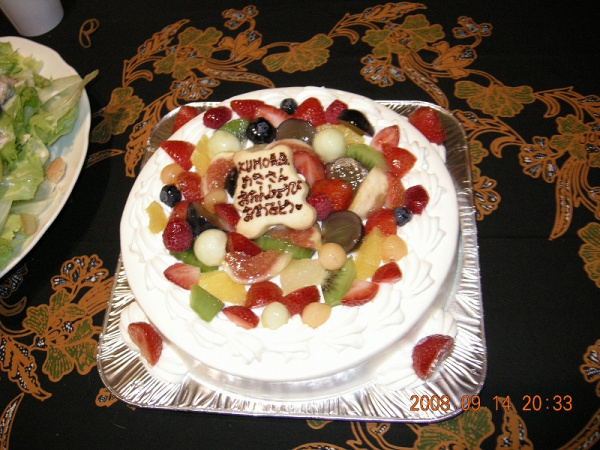 It was as late as 1995 that the book was translated into Japanese and published in Japan. The original version is said to have been criticized by American people and she was labeled as a defender of a vicious Japan. She didn't mean to defend Japan. 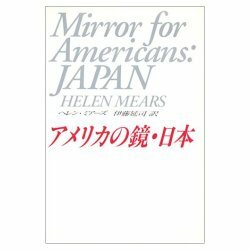 She questioned the justification of the Western powers which insisted that only Japan should be condemned in the modern Far Eastern history and also doubted the way of identifying Japanese people as traditionally belligerent, and the way of thinking that America, therefore, should educate them. Her research and analysis was dispassionate and fully acceptable to me. International relations are mostly ruled by the logic of the strong nations, and it was clearly demonstrated in the Far East in the first half of the last century, I suppose. Japanese education is still also controlled by the U.S. view of history. There are so many things we have to learn from Ms. Mears' book. Is it still too early to think about the causes and effects of the war serenely, beyond a dichotomy between winners and losers?